Our approach to engineering is to dispense with conventional thinking and constantly push boundaries to deliver bespoke, innovative and often pioneering engineering solutions. Through this unconventional approach, we have built a long and distinguished history of pioneering technological benchmarks and delivering engineering excellence that has benefitted not only our clients but also the broader construction industry. We provide comprehensive services across a multitude of engineering disciplines. The lack of interdisciplinary co-ordination is often a cause for project delays, cost overruns and claims. Hence, we proactively prevent this by adopting a structured design approach that incorporates building services, façade engineering and other key design components as inherent parts of our design philosophy. This strategy synergises the services from various disciplines and delivers superior value by providing fully coordinated and compatible solutions which enable efficiencies and savings to be achieved, performance to be enhanced and informed decisions to be made by all stakeholders. We recognise our people play a key role in delivering the projects. They impact the quality and commercial outcome of projects. Therefore, we carefully assemble a team of professionals, who are best suited for the size, complexity and delivery expectations, for each project. We identify the Concept and Schematic Design Stages to be the most crucial phases in controlling the project cost, design optimisation and constructability. That is why we dedicate our best people to handle these critical design phases to ensure that the most innovative, cost-effective and sustainable solutions are provided for our projects. Meinhardt maintains a Group Design Team comprising experts from each discipline. The Group Design Team does not own projects, it provides front-end engineering input, which includes a concept, an optimised system and an operating model with key design parameters, for each project. Subsequently, these become the basis for further detailed design by the nominated team. This approach enables us to provide optimised design for each of our projects. 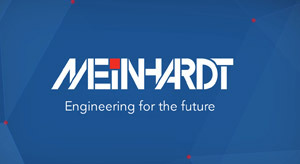 In a world characterised by rapidly changing technologies, Meinhardt remains committed to delivering bespoke engineering solutions that provide our clients with safe, cost-effective and sustainable engineering outcomes. This is achieved through the extensive use of our self-developed state-of-the art computational design processes involving building information modelling, digital design platforms, parametric modelling, computational fluid dynamic simulations and customised scripting, and optimisation tools. Additionally, these customised tools that are built upon off-the shelf solutions improve our internal efficiency, provide new means for design communication and facilitate more collaborative design solutions. As a consequence, the design team benefits from accelerated design studies by leveraging our global expertise. Our clients also concurrently benefit from cost-savings that result from an integrated design approach and customised optimisation strategies. We see our clients as our business partners. It is our mission to work in synergy with them to ensure they meet their business objectives, because when they win, we win. Beyond offering cutting-edge design technology and fully integrated solutions, we are mindful of keeping an open mind to embrace the changing needs of our clients. Through ensuring a clear understanding of the project deliverables and milestones, we are not only able to propose optimal solutions that fit the needs of our clients, we can also work synergistically with them – meeting their timeline and budgets. It is our priority to maintain a highly professional, yet personal relationship with our clients. This supports our business strategy of repeat business based on long-term relationship and performance.